Micky's Cafe is the best when it comes to anything sweet. Sugar paradise. It is so worth it once in a while. Do not underestimate this establishment in this area. Micky's is not one grease pit or cheap cafe; in fact far from it. Steer well clear of their mains. 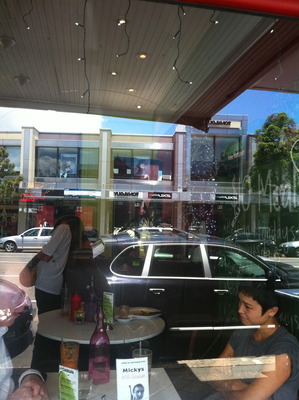 They are not the cheapest, and if you are wanting something to eat, you can actually do much better in Paddington. Definitely an American theme is well and alive here, and the red exterior has been there for ages. Love it, and this establishment has definitely stamped it's home right here in Sydney. First tried this establishment well over ten years ago, especially for their thick and filling banana smoothies, and they are just as delicious. Think blue ribbon ice cream, and generous spoonfuls of it. A great hangover cure, and a weekend treat. 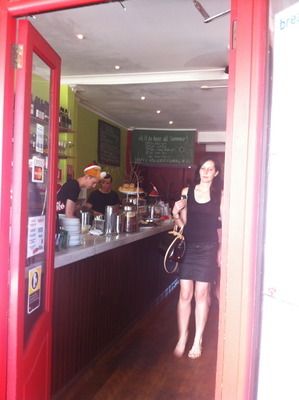 Their milkshakes and their desserts are just so spectacular in a trendy locale. Great to eat here alone or with one other person. The only challenge will be in deciding what to choose. 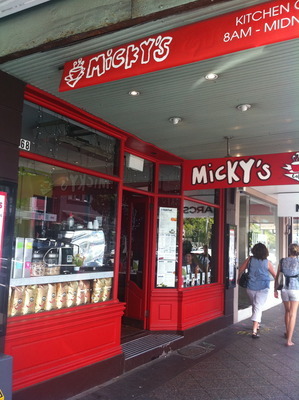 When you are next heading along Oxford Street Paddington, come to Micky's (sweet) paradise.